What excites you about your goals for 2019? What ignites the fire and passion in you? If you haven’t started already…now is a great time to reflect on 2018 and make plans for 2019. 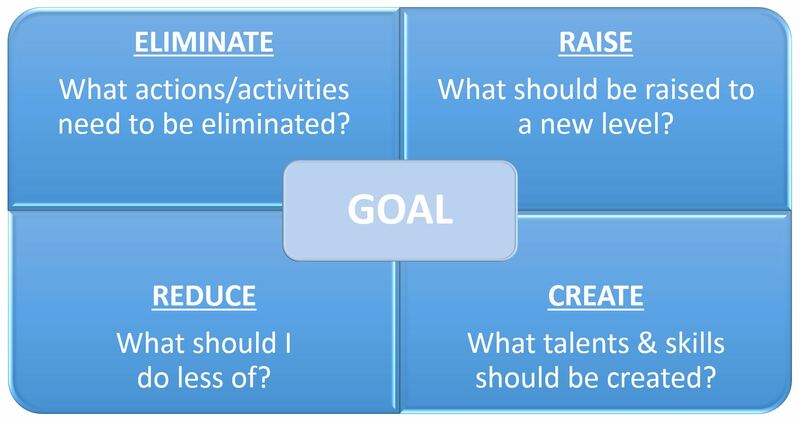 The picture below is a tool I use to help me determine my goals and what I need to do to accomplish them. I would love to hear what your goals are for 2019. Please put them in the comments below…AND If you would like some assistance in determining what your goals and plans are please let me know. What can home plate teach you? I have always loved baseball and grew up playing and watching it. I learned so much about life by playing this game. I was a catcher, so I had a love/hate relationship with home plate. I have never thought of home plate this way…and will probably never think of it the same way again. I came across this post a few days ago, and had to pass it along. All credit for this post and story go to the author of the original post. you can find his post here: http://www.sperrybaseballlife.com/stay-at-17-inches/. I have copied the details of his post below. In Nashville, Tennessee, during the first week of January, 1996, more than 4,000 baseball coaches descended upon the Opryland Hotel for the 52nd annual ABCA convention. Nineteen times since, many of the same professional, college, high school, youth, and a slew of international coaches from passionate and developing baseball nations have gathered at various convention hotels across the country for two-and-half days of clinic presentations and industry exhibits. Sure, many members of the American Baseball Coaches Association have come and gone in those years; the leadership has been passed, nepotistically, from Dave Keilitz to his son, Craig; and the association — and baseball, in general — has lost some of its greatest coaches, including Rod Dedeaux, Gordie Gillespie, and Chuck “Bobo” Brayton. I have attended all but three conventions in those nineteen years, and I have enjoyed and benefited from each of them. But ’96 was special — not just because it was held in the home of country music, a town I’d always wanted to visit. And not because I was attending my very first convention. Nashville in ’96 was special because it was there and then that I learned that baseball — the thing that had brought 4,000 of us together — was merely a metaphor for my own life and those of the players I hoped to impact. Having sensed the size of the group during check-in, I woke early the next morning in order to ensure myself a good seat near the stage — first chair on the right side of the center isle, third row back — where I sat, alone, for an hour until the audio-visual techs arrived to fine-tune their equipment. The proverbial bee bee in a boxcar, I was surrounded by empty chairs in a room as large as a football field. Eventually, I was joined by other, slightly less eager, coaches until the room was filled to capacity. By the time Augie Garrido was introduced to deliver the traditional first presentation from the previous season’s College World Series winner, there wasn’t an empty chair in the room. ABCA conventions have a certain party-like quality to them. They provide a wonderful opportunity to re-connect with old friends from a fraternal game that often spreads its coaches all over the country. As such, it is common for coaches to bail out of afternoon clinic sessions in favor of old friends and the bar. As a result, I discovered, the crowd is comparatively sparse after lunch, and I had no trouble getting my seat back, even after grabbing a plastic-wrapped sandwich off the shelf at the Opryland gift shop. I woke early the next morning and once again found myself alone in the massive convention hall, reviewing my notes from the day before: pitching mechanics, hitting philosophy, team practice drills. All technical and typical — important stuff for a young coach, and I was in Heaven. At the end of the morning session, certain that I had accurately scouted the group dynamic and that my seat would again be waiting for me after lunch, I allowed myself a few extra minutes to sit down and enjoy an overpriced sandwich in one of the hotel restaurants. But when I returned to the convention hall thirty minutes before the lunch break ended, not only was my seat not available, barely any seats were available! I managed to find one between two high school coaches, both proudly adorned in their respective team caps and jackets. Disappointed in myself for losing my seat up front, I wondered what had pried all these coaches from their barstools. I found the clinic schedule in my bag: “1 PM John Scolinos, Cal Poly Pomona.” It was the man whose name I had heard buzzing around the lobby two days earlier. Could he be the reason that all 4,000 coaches had returned, early, to the convention hall? Wow, I thought, this guy must really be good. “SEV-EN-TEEN INCHES!” he confirmed, his voice bellowing off the walls. “And what do they do with a a Big League pitcher who can’t throw the ball over seventeen inches?” Pause. “They send him to Pocatello!” he hollered, drawing raucous laughter. 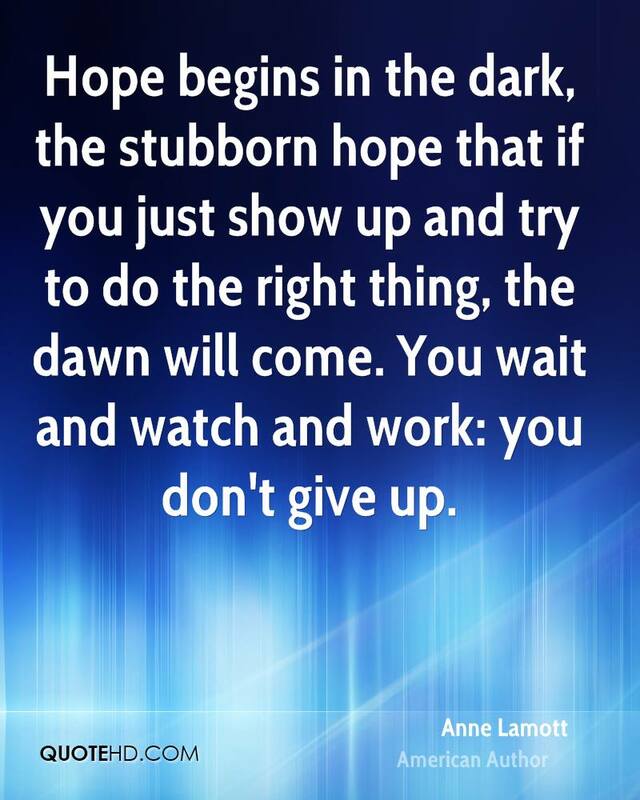 How could this quote support you today? 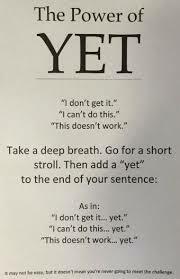 I love the idea of adding the word “yet” to thoughts or beliefs we have about ourselves. What a great way to re-focus our minds on what we want to accomplish, and who we want to be…instead of focusing on what we can’t do and who we are not. 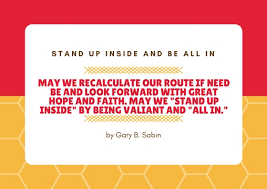 How could this quote assist you today?